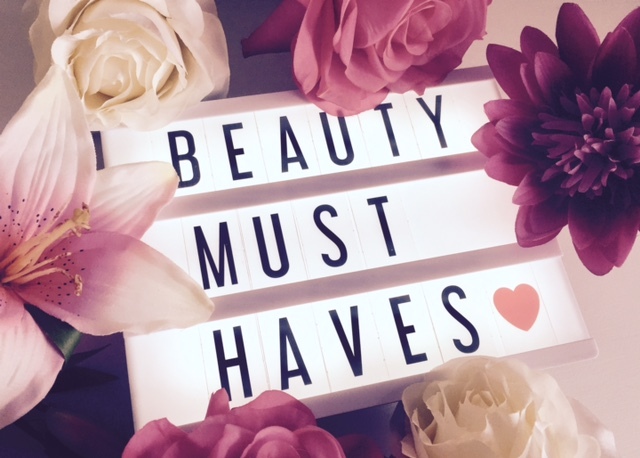 Now I’m sure many of my fellow makeup addicts agree thats it is extremely difficult to choose ‘favourites’, especially when you have so many products to choose from. 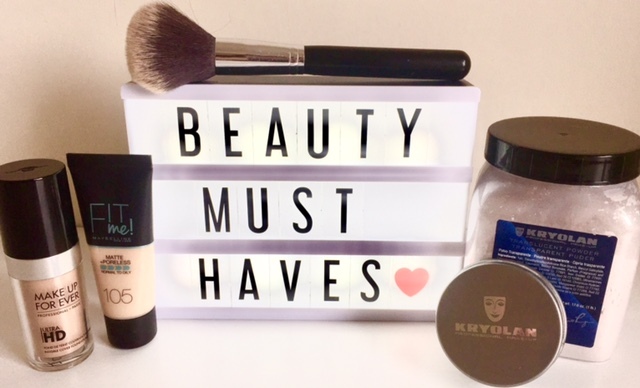 So this is more a selection of the products I find myself repurchasing and using over and over again; therefore they are named my beauty must haves. I do have quite a large makeup collection but it is what I have built up, and have been gifted by family and friends. But of course to me the shopaholic it’s not enough, and this is made so much more difficult with brands bringing out new collections here there and everywhere. I have decided to split these posts up into different categories because otherwise it will become the worlds longest blog post, and I’m worried I may put you all to sleep. The lists I’m going to share may be bias because I haven’t been able to try every single product out their, but this is what I have tried and have enjoyed using. Another foundation I have been loving recently is the Fit Me Matte and Poreless by Maybelline. This is a much more affordable foundation being £5.99, and is normally on offers like 3 for 2, or 2 products for £10 etc. I used to use this when it was in the old packaging, and liked it then. But now I think they must have changed the formula when they changed the packaging, because it’s now even better. I would say it is a medium coverage like the MUFE one, but is easily buildable if you want a more full coverage. I have this one in the shade 105 natural ivory, and it’s a really good match for my skin tone. This is normally my go to foundation when I don’t have the MUFE one, and at the moment I’m going between the two to make the MUFE foundation last a bit longer. Two foundations I have had my eye on are Estee Lauder Double Wear and Kat Von D Lock It. I’ve heard such good things about these foundations and I’m just dying to try them out. There both liquid foundations, which is what I’m normally drawn to as haven’t found a good cream or powder one that is as good as liquid. These two foundations I would describe as more high end and they are both around the £30 mark, but then I always feel foundation is worth paying a bit more for as it’s the base to everything else. I’m hoping I can purchase one of these soon, or hopefully both so I can do a review and comparison for you guys. 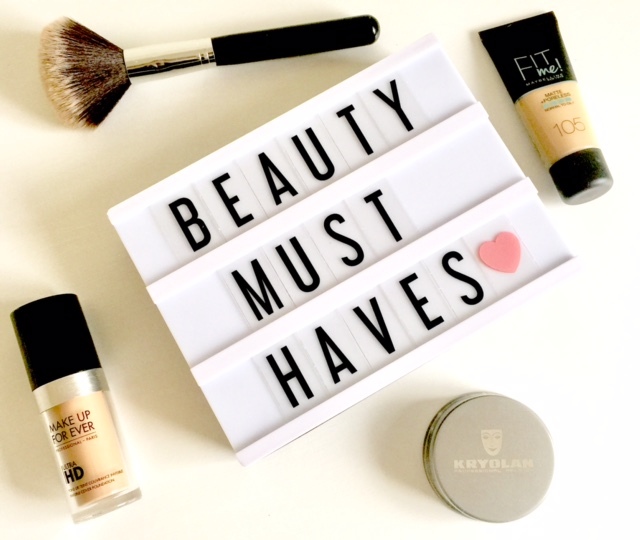 Hope you have enjoyed reading my foundation and powder favourites from my ‘Beauty Must Haves’ posts. 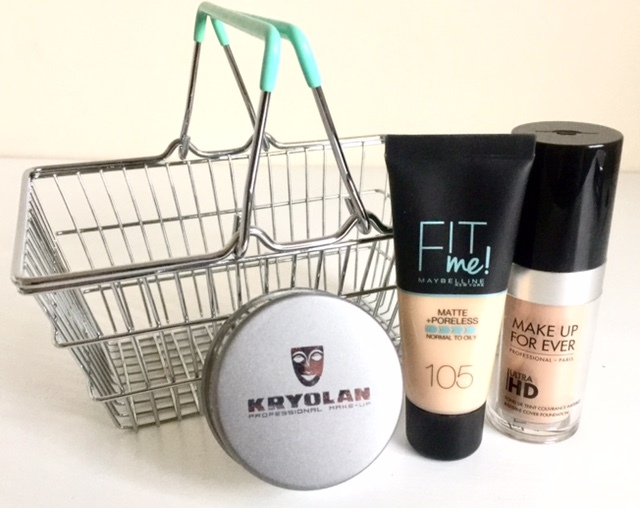 Whats your favourite foundations and powders to use? Im always looking for new ones to try so would be great to hear some of your recommendations.